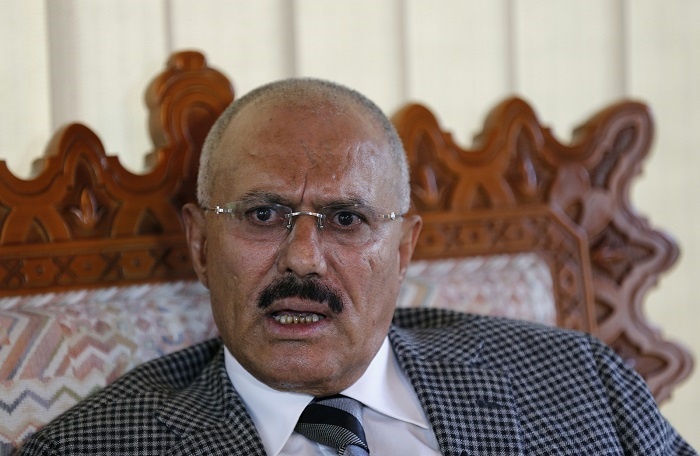 Yemen’s former president, Ali Abdullah Saleh, has reportedly been killed after his forces and their Houthi rebel allies turned their guns on each other. Fighters loyal to Yemen’s former president, Ali Abdullah Saleh, who was ousted from power in 2012, had been fighting alongside the Houthis for more than two years against the internationally recognised government of Yemen and a coalition of Arab states led by Saudi Arabia. But last week the alliance between Mr Saleh and the Houthis collapsed and over the weekend the split descended into open warfare on the streets of Sanaa, the rebel-held capital of Yemen. The 75-year-old Mr Saleh was killed during the fighting, according to Houthi-controlled media. "The interior ministry announces the end of the crisis of militias and the killing of their leader and a number of his criminal supporters," an anchor said on the Houthi's official Al-Masirah television. Unverified photographs and video also began to circulate on social media, showing what appeared to be the former president’s body with a grievous head injury.